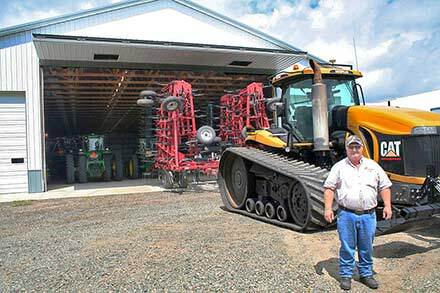 Kansas and Missouri have farmland that stretches for miles and these big fields require big machinery to bring in the crop and big farm shops to store equipment. This steel structure has about a 50' x 18' Schweiss hydraulic door on it. 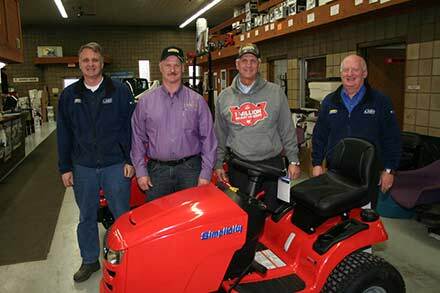 Fredonia bills its city as "In the Heartland . . . Where Pride Flies High. Where The Flag Flies High." You could call it a good ole' American city with deep roots and noble values. 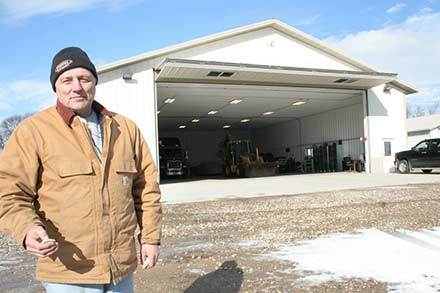 Along those same lines is a successful company which emerged out of Fredonia; Koehn Construction Services, LLC (pronounced "Cane") a full service general contractor. 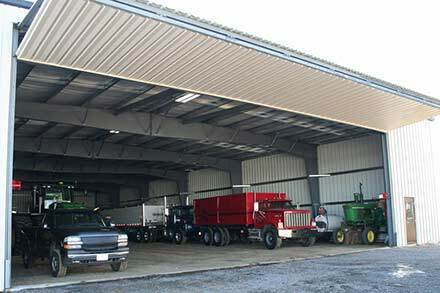 They specialize in commercial and agricultural markets, specifically, pre-engineered metal buildings and grain storage systems. 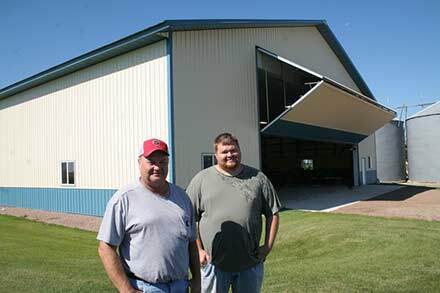 Koehn Construction Services specializes in steel farm buildings and grain handling systems. 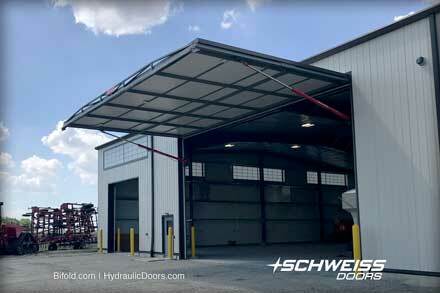 They put Schweiss hydraulic doors on nearly all their buildings. 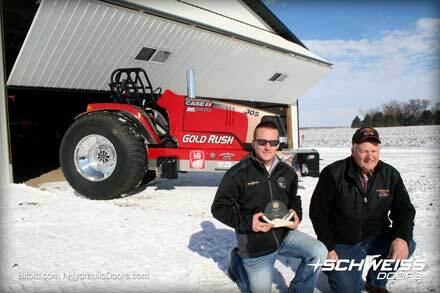 "We've been using Schweiss Doors for about eight years now and haven't used any other manufacturers door. 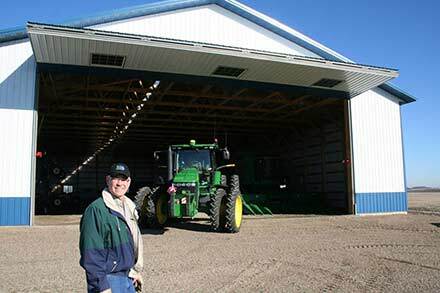 Most of the hydraulic doors we put in are on farm buildings. After we put in our first Schweiss Door we knew it was a quality product and we've stayed with them ever since. Our customers are very happy with how they work. We also do the installs, which is fairly easy. We don't sell or install any sliding doors. Schweiss doors are very good quality doors; heavy and well built. There's no door out there that is as heavy as a Schweiss door." Their website boasts: "We are not a company that just designs or sells, or for that matter just erects them! We take care of 'you' our customer from the design until you move into your completed project, 'competitively.' It's that simple, our customers are our sales team. They sell 90 percent of our new projects, if you need a new building or bin give us a call, we will not only 'try to make you happy,'' we will! Our mission is 100 percent satisfied customers. "From the frames to the last screw, we use only the best in building products regardless if 'everyone else' is satisfied with a little less. We will not compromise the building integrity for the dubious 'honor' of having the cheapest building package available. We are confident that we provide the best value for your dollar, every time." 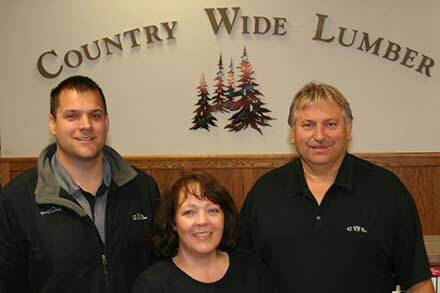 In 2003, Lyle Koehn of Fredonia, KS, and a partner, formed Double L Construction. 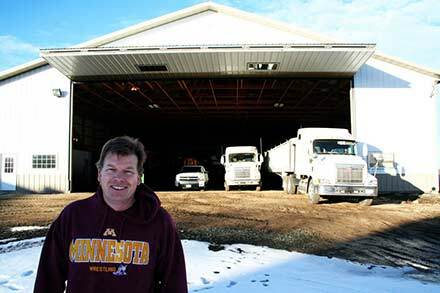 This company also was renamed and became Koehn Buildings, Inc., with Lyle becoming the sole owner. 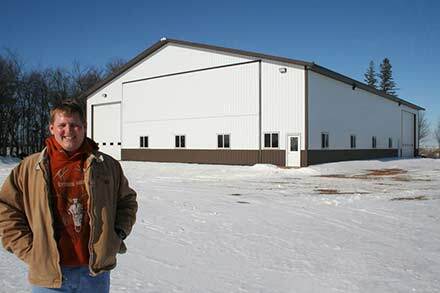 Koehn Buildings, Inc. became a metal building contractor in 2004. 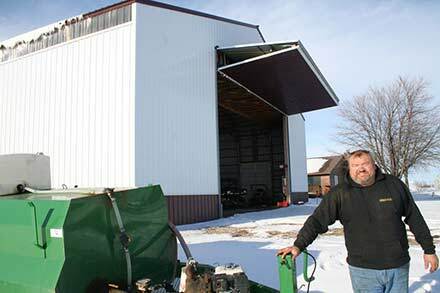 In 2010, a decision was made by the owners to join forces with another construction company in Rich Hill, MO. 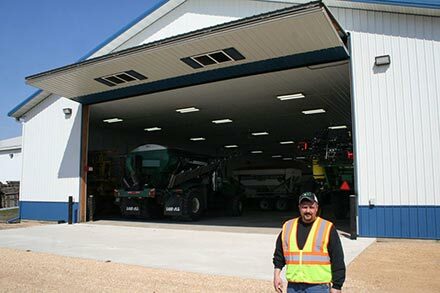 Almost 50 years of contracting experience is shared between the owners alone, giving its customers another great reason to trust their next building project to Koehn Construction Services, also known previously as Koehn Building Systems, LLC. 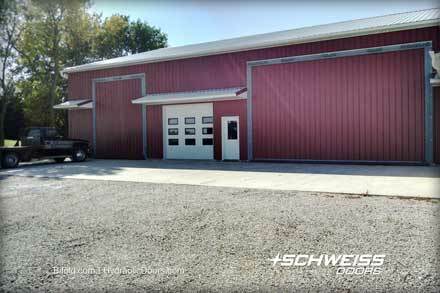 Over the years, going back to the companies founding, Koehn Construction Services has been a loyal customer of Schweiss Doors and uses only Schweiss Doors on its steel buildings. 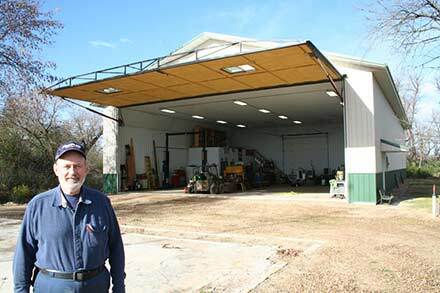 A typical steel farm shop built from the bottom up by Koehn Construction Services. The door at the left is a Schweiss hydraulic door. 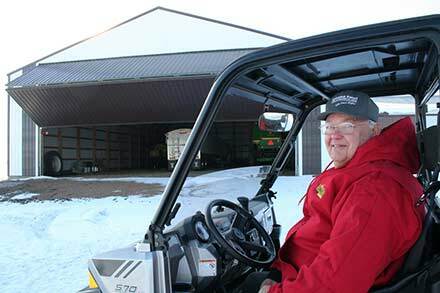 "Ag buildings is where we started; they comprise 40 to 50 percent of our business. 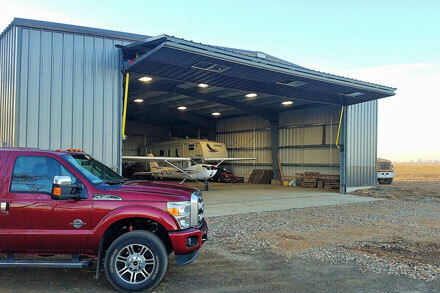 All our building projects are custom in nature and unique to each customer. 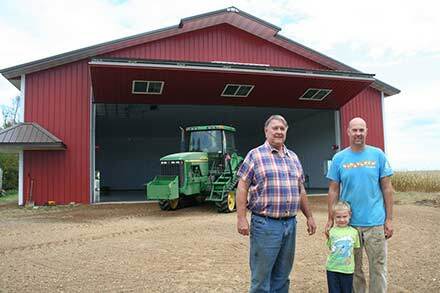 One of our farm shops here is a 100'x300'x20' building; 80' to 100' farm shops are probably the most common sizes that we build," said Owner-General Manager Lyle Koehn. 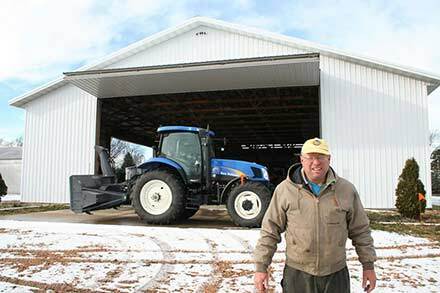 Corn, double-crop soybeans and winter wheat are the primary crops in the Fredonia area. "We are also doing lots of commercial manufacturing projects. 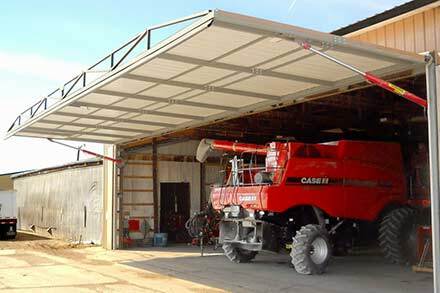 Most here seem to prefer hydraulic doors - they understand hydraulics and how that works. 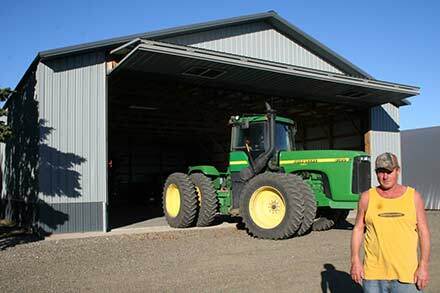 We also prefer the hydraulic one-piece doors. The main reason is simplicity, they are a little more expensive than a bifold door, but they have less moving parts. 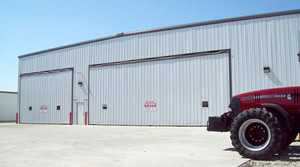 Most of the doors we do are 40' to 50'-plus wide and 16' to 18' tall. 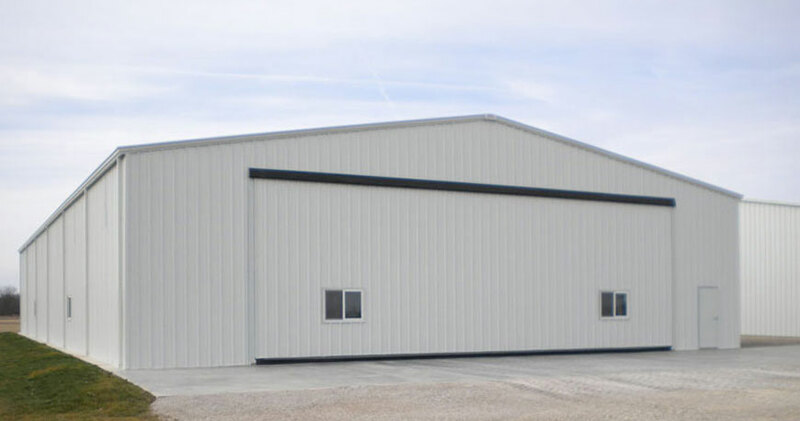 Koehn Construction Services steel buildings are typically 80' to 100' long. 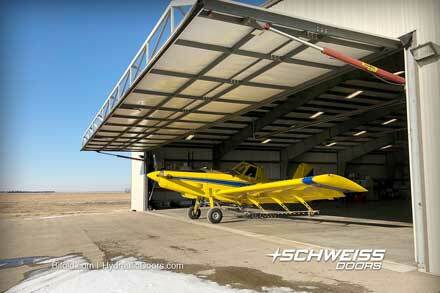 This one with a Schweiss hydraulic doors at each end is 100' x 300' x 20'. You don't see them much larger than this. 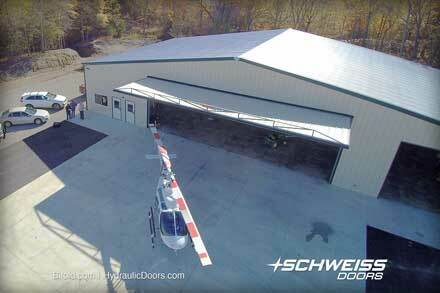 "We've been using Schweiss Doors for about eight years now and haven't used any other manufacturers door. 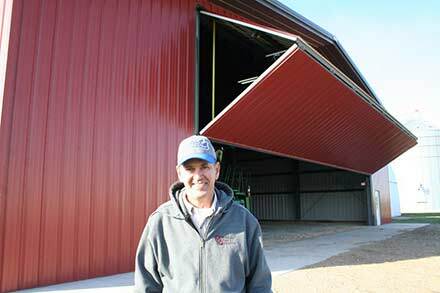 Most of the hydraulic doors we put in are on farm buildings. After we put in our first Schweiss Door we knew it was a quality product and we've stayed with them ever since. Our customers are very happy with how they work. We also do the installs, which is fairly easy. We don't sell or install any sliding doors. Schweiss doors are very good quality doors; heavy and well built. There's no door out there that is as heavy as a Schweiss door. 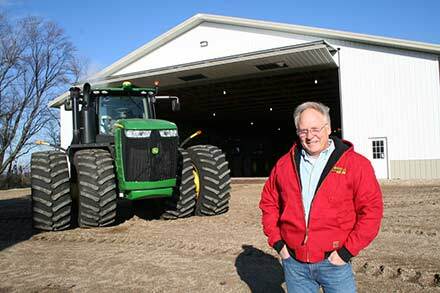 Everybody else uses lighter gauge materials," said Koehn. 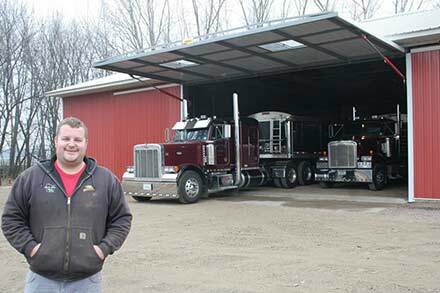 He commended Schweiss Doors for on-time delivery and noted that the staff at Schweiss Doors has been very helpful over the years. 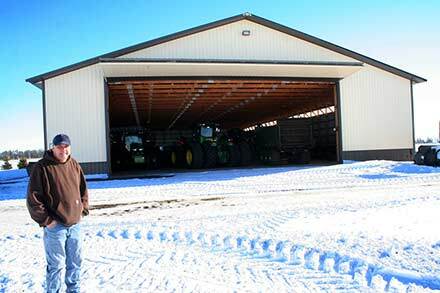 Most of the Schweiss hydraulic farm doors that Koehn Construction sells are in the 40' to 50'-plus width and 16' to 18' tall. 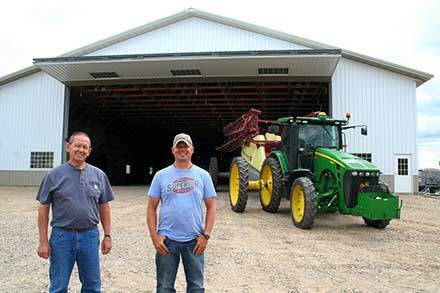 With their large agricultural cliental base they kept hearing farmers say that they were building bins and they wished Koehn Construction sold and erected them. 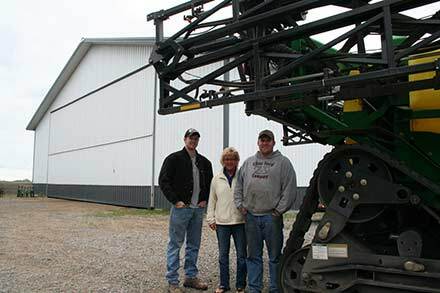 So in 2010 they started working with Sukup and started selling and erecting grain storage tanks. 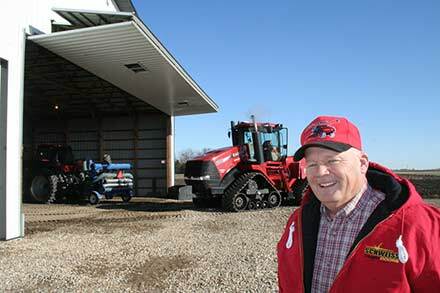 "We think with the ability to pay for themselves over a short period of time and increased farm yields that there will be lots of grain storage going up in the next several years. 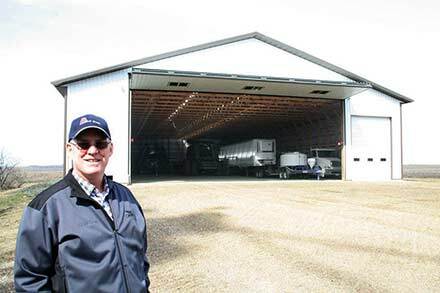 Once again in their quest for grain storage dealership, their #1 priority is customer service from the manufacturer so they can supply the same to their customers." 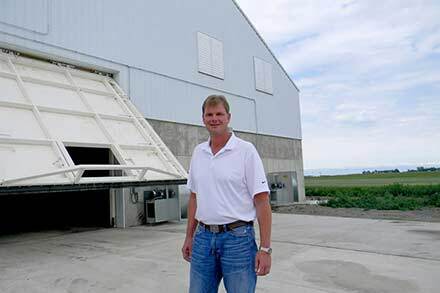 Since grain storage and handling go hand-in-hand they also sell Sukup elevators, conveyers, loop systems. 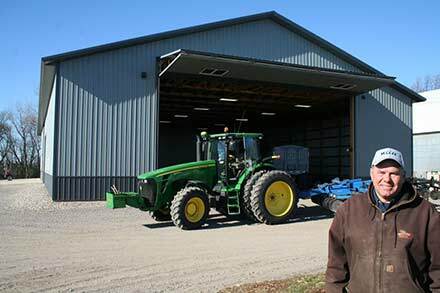 They feel like there is a real need for a good contractor to install large farm and commercial grain bins and their supporting equipment. Windows within the Schweiss hydraulic doors allow for natural light to enter the building and give the operator something to look outside of when opening their doors. 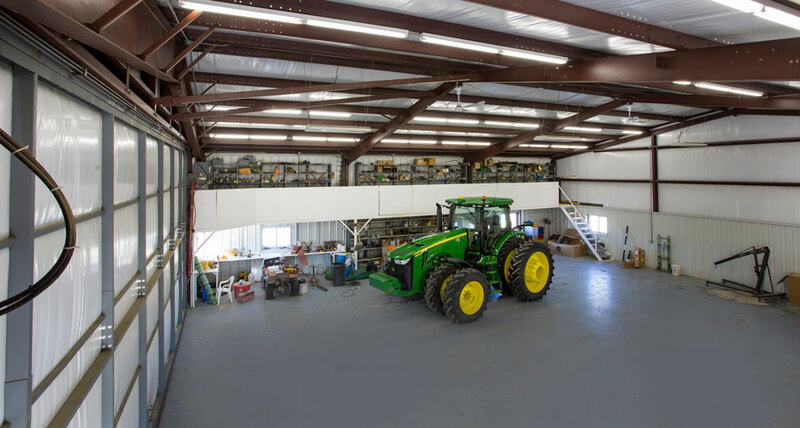 Koehn Construction Services offers many services, including in-house design as well as additional out-sourced design. Their services include, site preparation, erection services, foundation construction and millwright work. 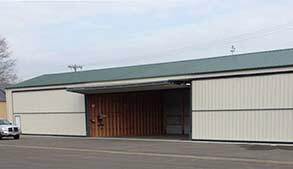 All overhead door installation, interior finishing, electrical work, plumbing, HVAC systems are outsourced to long-term service providers that they have built relationships with over the years. They are able to take responsibility for your complete project, from start to finish. 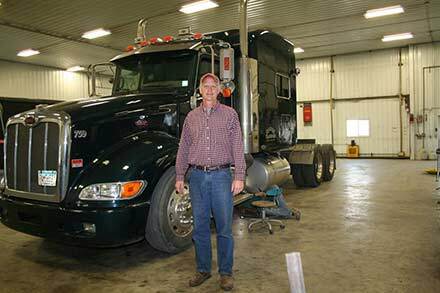 Koehn Construction Services has 15 employees, many which have been with the company for 5 to 10 years. 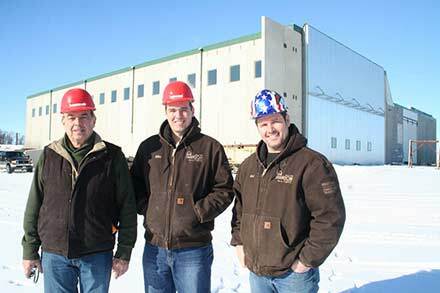 Their key staff consists of General Manager Lyle Koehn; Project Estimator, Andrew Koehn; Project Manager Dave Schultz; Joel Schaper and Brian Mayeske are job supervisors. 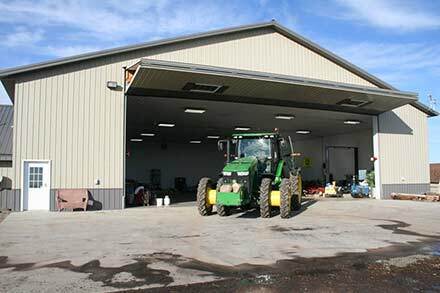 Koehn Construction Services is located at 1111 N 2nd St, Fredonia, KS 66736. They can be contacted by calling (620) 378-3002, or by visiting their website at www.koehncs.com. 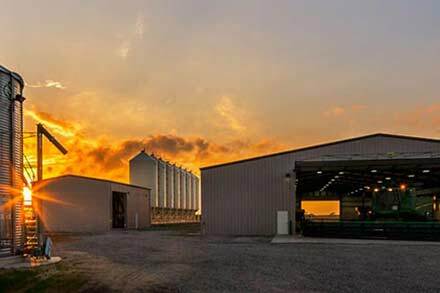 After the sun sets, farmers are often working long hours inside their Koehn Construction Services farm shops getting equipment ready for the next crop, day or season.